Saving installation time our system arrives with Pre-hung panels to an assembled framework. The main access panel having a magnetic catch and hinge system. 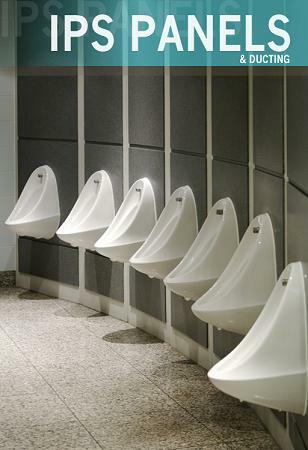 Our Integrated Plumbing Systems Panelling and Ducting are all designed to suit. RDM Cubicles provide a variety of colour options with matching and colour coordinated Cubicle designs. 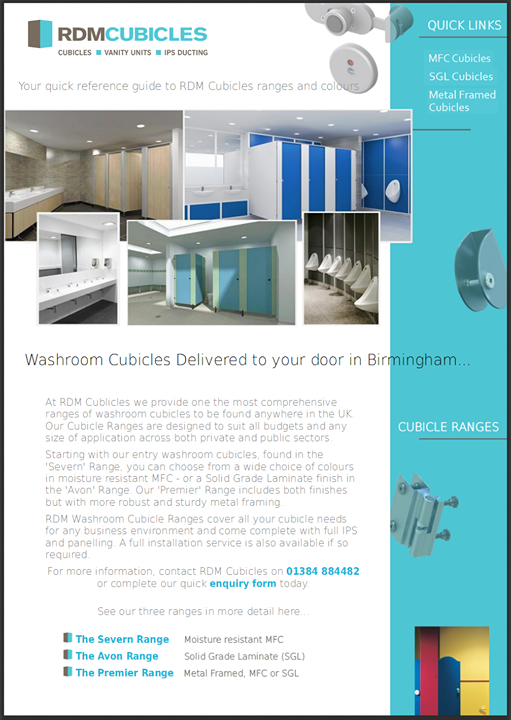 You can view our Severn, Avon and Premier Cubicle Colour Ranges and select the grade of finish or budget you require. RDM Cubicles offer an extensive variety of colour options in both MFC (Melamine Faced Chipboard) and SGL (Solid Grade Laminate) or CGL (Compact Grade Laminate) Finishes.